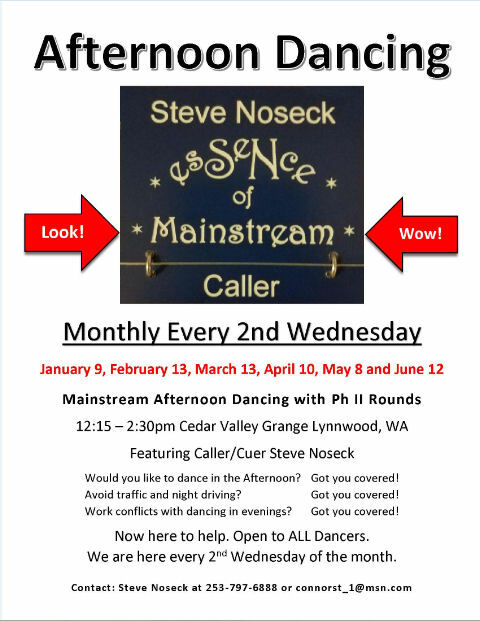 The Mount Baker Square Dance Council promotes square and round dancing in the north Puget Sound region of Washington State (WA). 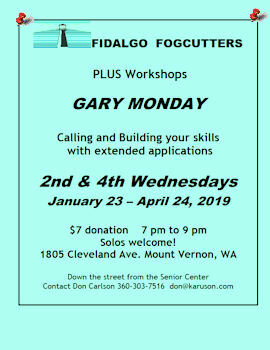 Serving Snohomish County, Skagit County, Whatcom County, Island County and San Juan County. 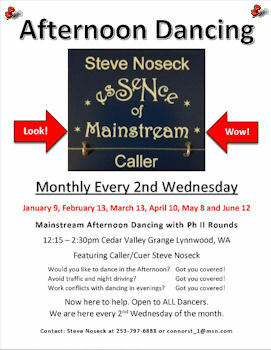 This site contains information on Square Dance Clubs, Dance Schedules, New Dancer Lessons and Level Dances in our region, and much more. Navigate to your areas of interest by clicking (your mouse) on the buttons in the left margin or clicking on the "hyperlinked" text or graphics. 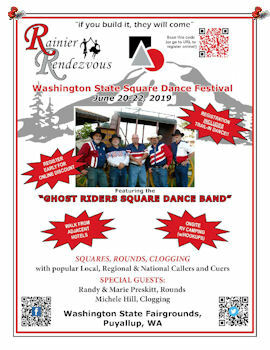 CALLERLAB (International Association of Square Dance Callers) and ROUNDALAB (International Association of Round Dance Teachers, Inc.) have web sites with a lot of information for square dancers and round dancers. 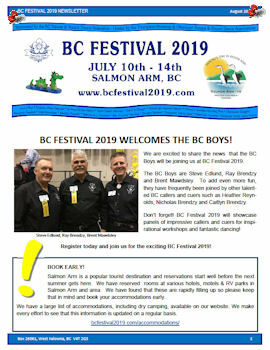 For those of you who may be interested in getting started in square dancing, we have a flier (pdf document) which you can download from the "Fliers" page which has some information about square dancing and lessons. 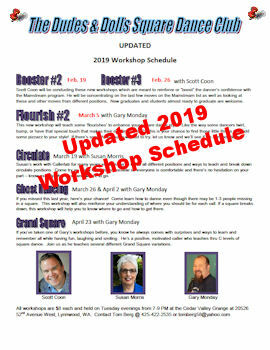 Also, be sure to see our lessons page, which lists the current dates and times for lessons offered by the square dance clubs in the Mt. Baker Square Dance Council. Also see You2CanDance.com or watch a square dance demonstration video. 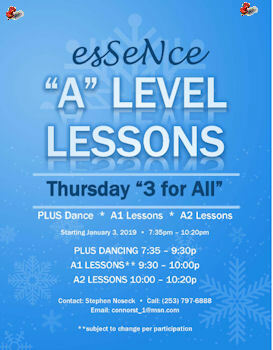 We have No Experience Dances in January and September and also a No Experience Dance Hall at most of our Mt. Baker Council dances. 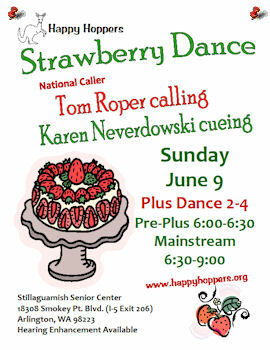 Give it a try and find out what square dancing is all about. HEY GUYS: There are a lot more single women in square dancing than there are single men. 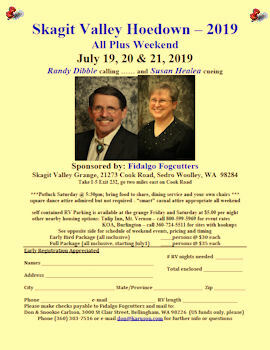 Think about taking our square dance lessons and join the fun! 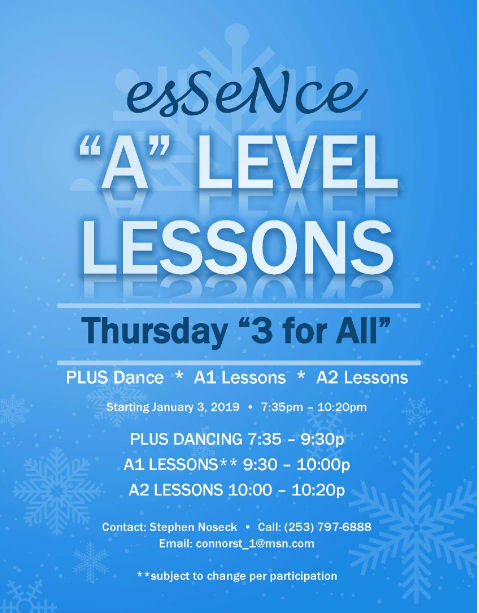 You Can Earn this Dangle to show that you are an all around dancer and have a great time sharpening your dance skills at the same time. All you have to do is Dance at 10 different clubs in Mt. Baker Council within 1 year span of time. (Level dances & Council dances may be included.) Present your signature sheet at the sign in desk of the club you visit to collect your signature. When you have ten signatures from ten different clubs including your own home club, present your signature sheet to your own club president. He/She will forward it to the Council via Council Delegate or you may send it directly to the Round Tuit Chairman, Cliff McCracken 2200 196th St SE #64 Bothell, WA 98012. Dangles are available from Mt. Baker Council at no cost to the club. Click here for signature sheet. 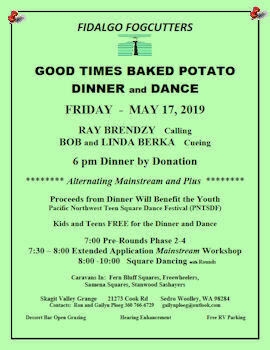 The Mount Baker Square Dance Council is a member of the Square and Folk Dance Federation of Washington, Inc.
On April 17, 1979, the square dance became the official Washington state dance. When the pioneers came west, they brought with them a dance called the quadrille, which means square in French. The pioneers liked the simpler term and so the square dance was born. The dance is known for its series of figures and footwork. Dancers are directed by a caller. It is easy to learn, a good form of exercise and fun. 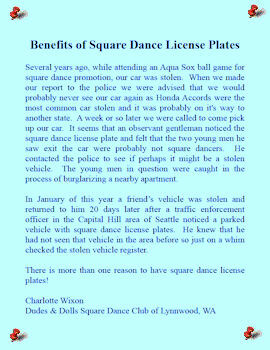 To become a proud owner of a SPECIAL SQUARE DANCER LICENSE PLATE all you have to do is take your vehicle registration or license "Renewal Notice" to your local friendly Department of Vehicle Licensing Agency. Tell them you are a Square Dancer and you want the special Square Dancer License Plate. e-mail blew@hctc.com or call 360-877-5907. LiveHealthy2020 brings together a broad cross-section of partners representing diverse communities with one common agenda – to improve the health and economic vitality of Snohomish County by improving nutrition, increasing physical activity, enhancing mental and emotional health, and fostering civic health and connectivity by the year 2020 and beyond. By joining LiveHealthy2020, you partner with business, non-profit, government, health, education, faith, and others in your community who believe that when we work together around common goals, we can better leverage resources to make targeted and effective improvements for the health of all county residents. 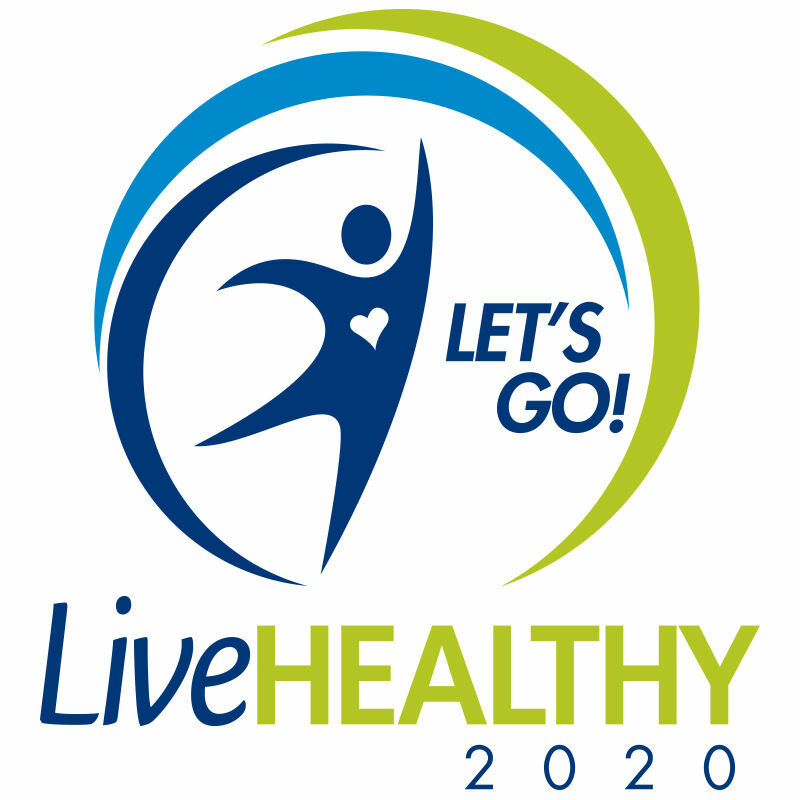 Connect with your community by registering your organization with LiveHealthy2020’s Countywide Provider Database. There’s no longer the need to do our work alone. It's time to start thinking about nominations for the Ila Williams Memorial Award. Resumes should be passed on to or be presented to the current holder of the award. Annual deadline will be February 1st.